When a patient has stubborn areas of fat or cellulite that don’t disappear with diet and exercise, medical treatments can help. Total Wellness MediSpa is proud to offer SmartLipo and Cellulaze™. These minimally-invasive services can eliminate stubborn fat deposits and improve the patient’s overall appearance dramatically. 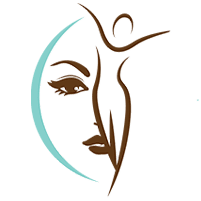 To learn more about SmartLipo or Cellulaze, please contact Total Wellness MediSpa in Prince George's County, Largo, Maryland today. SmartLipo is a laser liposuction procedure that improves the accuracy and efficiency of this type of surgery. During the procedure, the surgeon uses laser energy to liquefy fat cells before removing them from the body. This reduces the size of the incision, as well as the size of the cannula necessary to remove the fat. Like traditional liposuction, SmartLipo offers dramatic results. Why is SmartLipo better than traditional liposuction? SmartLipo offers several advantages over traditional liposuction. For example, most patients report that SmartLipo is less painful than the traditional liposuction procedure. SmartLipo also results in less swelling and less bruising than the traditional procedure, and it usually costs less. In addition, SmartLipo has a shorter recovery time than traditional liposuction, which means you’ll be able to return to your normal activities faster. Cellulaze™ is a minimally invasive procedure used to eliminate areas of cellulite. During this procedure, your surgeon will make a few tiny incisions near the treatment area. Next, the surgeon will use local anesthesia or a numbing solution to block pain. Using the laser, your surgeon will level out bumps of fat, stimulate collagen production in the area, and release any fibrous bands under your skin. Finally, the surgeon will remove the fat liquefied during the procedure. The recovery period for both types of procedures will vary based on the extent of your surgery. The larger the treatment area, the longer it will take to recover completely. However, most patients begin feeling better after a day or two. It may take a few weeks for you to return to all of your normal activities. Your surgeon will explain your recovery instructions in detail before discharging you after the procedure. What are the risks of SmartLipo and Cellulaze? Like all surgical procedures, SmartLipo and Cellulaze pose some risks. For example, some patients may have a bad reaction to the anesthesia used during the procedure, or they may get an infection. Excessive bleeding and local tissue damage are also possible with both SmartLipo and Cellulaze. However, serious complications from either of these procedures are rare.